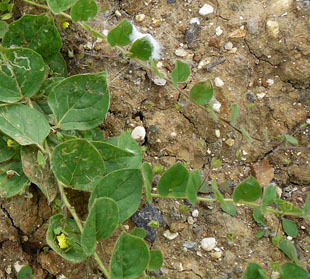 land and waste tips on calcareous soils. 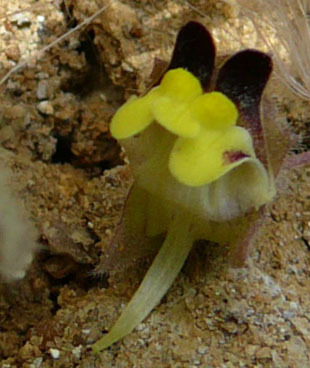 yellow with a distinct purple lip, and with a long curved spur. 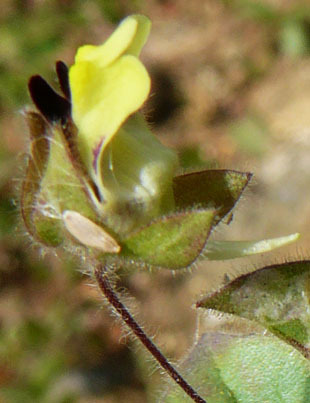 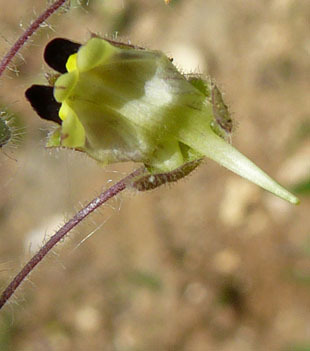 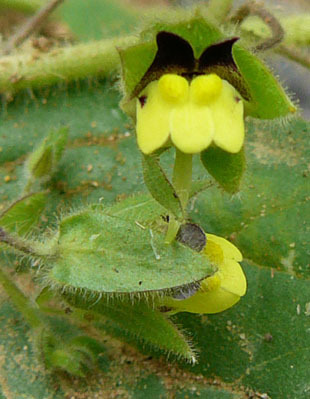 Bracts are also hairy and up to 1cm. 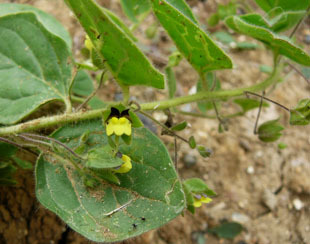 Leaves are rounded and slightly pointed, with short stalks. 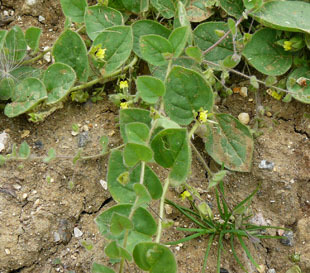 growing end of the spreading stems.